Nevermind that the list seems a bit arbitrary. Never mind that Ballston is on it. PoPville represent! As Americans widely embrace the “green revolution”, residents of the greater D.C. area interested in eco-friendly living should check out the newly released Top Green Neighborhood list published by MRIS, the nation’s largest multiple listings service (MLS) which offers nearly 75,000 local homes listings via its consumer website, Homesdatabase.com. Ballston is showing clear efforts to educate the public about environmental improvements, through its initiative to reduce emissions, and its innovation in building Virginia’s first LEED platinum house. Bethesda is home to DC’s first Passive Design House. It also has a number of green initiatives to cut greenhouse gas emissions and implement green jobs. Capitol Hill is abundant with green homes and buildings and offers close proximity to the city’s largest farmer’s market and famous green spaces and gardens -most notably the Botanical Gardens. Crestwood borders Rock Creek Park, which contains 1,754 acres of green space and nature-related activities. Crestwood also has a neighborhood plan to conserve and preserve their community. Columbia Heights is home to DC’s first solar powered condos, as well as DC’s largest residential solar thermal project. Mount Rainier has a number of green building initiatives and projects, as well as an abundance of green space including the Mount Rainier Nature and Recreation Center. Old Town Alexandria is the home to the first LEED certified condo building in the state of Virginia. It also takes part in all of Alexandra’s green initiatives, including the Green Building Policy and the Go Green Alexandria project. Petworth is home to DC’s first LEED platinum condo development and it encompasses a number of parks and lush green areas, including Rock Creek Cemetery. 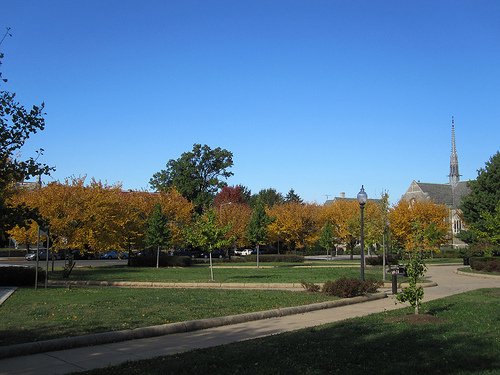 Takoma Park features 17 acres of green space and parks, including Sligo Creek Park. It is also home to a number of green buildings and community projects. Woodley Park is surrounded by green space and offers a number of public transportation options. Woodley Park is in walking distance to the National Zoo and a number of local parks, including the largest in DC, Rock Creek Park.